She looks like a completely different person. Haley Smith was absolutely delighted to get a proposal from her then-boyfriend Matt Smith... but later on when she saw the photos of the big event, there was another reason that she started crying — and it wasn’t for fond recollection of the moment. 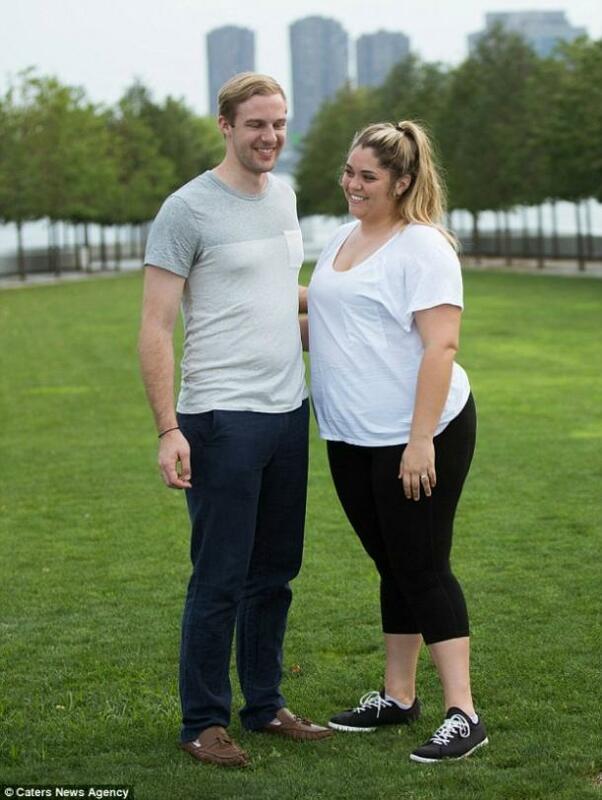 Haley was tipping the scales at 227 pounds in July when Matt proposed, and when she saw how big she was in photos, she was left crying over what she saw of herself. She even refused to post the photos online because she was so embarrassed by her size. So Haley decided to make a change and massively slim down for her wedding — and boy did it ever work! How did Haley lose all the weight for the big day? According to her, it was a pretty simple plan. She began by putting herself on a schedule of running three times a week, gradually working her way up to 5K until practice became habit. She stopped eating junk food and switched over to fruits and veggies. Soon, her weight-related complaints — excessive sweating, joint pains, high blood pressure, acne, heartburn, and headaches — seemed to vanish. She now exercises for two hours every day. She’s additionally added in strength training and cardio workouts to her routine, and typically exercises two times a day. Haley claimed that she’d struggled with weight as a child, but it wasn’t until college that she packed on all the pounds. She was an “emotional eater,” and bought “whatever looked good” on her unlimited college dining meal plan. 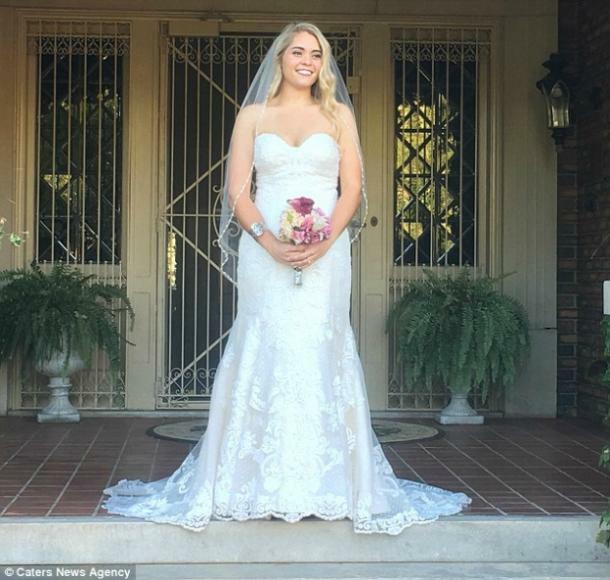 But that appears to be behind her now, as the bride looked absolutely breathtaking on her wedding day. “You have to start small and make a habit and encourage yourself,” said Haley. 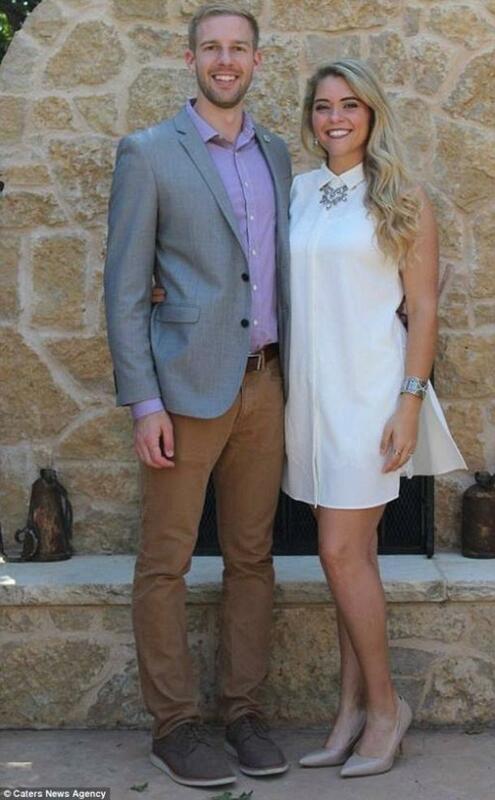 She wanted to look “normal” in her dress, but instead looked nothing short of stunning. Now, she and husband Matt are off on their dream honeymoon in New Zealand with plans to snorkel, hike, and go mountain climbing — all things that never would have been possible at her pre-proposal weight. We wish them all the best, and hope that Haley’s story can inspire others to do the same!